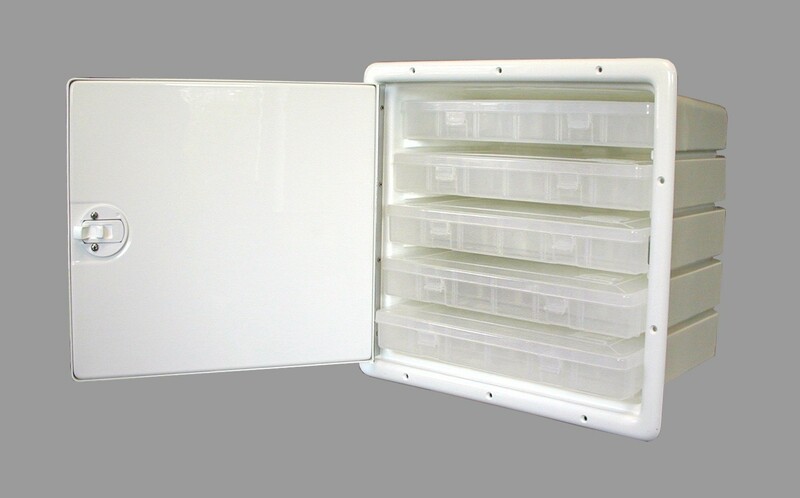 Deluxe acrylic capped ABS door with locking plastic slam latch. Size/Fit: 17"W x 15.75"H x 10.5"D Cut-out: 15.25"W x 14"H.
We sell ALL SSI® Overhead Electronic Boxes, Tackle Centers, Access Doors, Coolers, etc., so call or email for price on anything you see. Installation: Do NOT overtighten screws against ABS material.